In reading Roberts Place’s volume, The Tarot: History, Symbolism and Divination, I encountered his association of Plato’s threefold subdivision of the human soul with the septenary (3×7) arrangement of the tarot trumps (the Fool is set apart as a “wild card”). Plato’s unevolved “soul of appetite” corresponds to the seven-card series from the Magician to the Chariot; the developing “soul of will” encompasses the middle series of seven trumps, from Justice to Temperance; and the mature “soul of reason” imbues the remaining seven, from the Devil to the World. I was struck by how closely Place’s description of the Chariot’s virtuous triumph over the libidinous hankering of the Lovers parallels my own view of the latter card as depicting a “crossroads” with two paths (or choices) leading away from it – a moral “high road” and a “low road” of self-indulgence. The charioteer has found the right exit and is traveling at full tilt down the road, congratulating himself on rescuing his honor. The Chariot is standing at the threshold beyond which the soul of will comes into its ascendancy, and thus represents an impending victory over the selfish infatuation symbolized by the human lovers. The charioteer is being carried beyond the crossroads by an exercise of will, which transcends the implied weaknesses of the previous card. Although I’m not a fan of Waite’s Pictorial Key to the Tarot in general, this is one card where I’m in full agreement with him (except the part about the “princely figure” carrying a “drawn sword,” which in fact appears to be a spear or staff in Smith’s illustration). “. . . he is conquest on all planes – in the mind, in science, in progress, in certain trials of initiation. He is above all things triumph in the mind.” However, “. . . the planes of his conquest are manifest or external and not within himself:” and “. . . the tests or initiations through which he has passed in triumph are to be considered physically or rationally.” Spiritual self-mastery appears to be beyond his reach. Waite clearly thought this paragon of conquest was a mere gladiator in the cause of Justice, toward which he is in fact plunging headlong, and not fit for a higher calling: “. . . if he came to the pillars of that Temple between which the High Priestess is seated, he could not open the scroll called Tora, nor if she questioned him could he answer. He is not hereditary royalty and he is not priesthood.” He is also apparently not very majestic for an archetype. 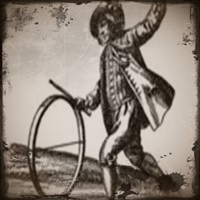 Waite’s brief keyword meanings of “succor” and “providence” imply that the charioteer has pulled his chestnuts out of the fire by dint of sheer good luck or good connections. Aleister Crowley at least gave the warrior some credit for his puissance: “Triumph, victory, hope . . the “die-hard,” faithfulness, authority under authority” (i.e. subordinate, not executive). The Chariot is the “numerological counterpart” of the Tower, since 16 reduces to 7 (1+6=7). Ill dignity encourages taking the “low road” out of the Lovers’ junction and landing in hot water. Some failings that might lead there are insincere effort, false moves, stalled momentum (“the wheels fell off”), blunted force, faltering willpower, weak resolve or inadequate follow-through on initiatives begun in good faith. The proverb “The road to Hell is paved with good intentions” is a perfect analogy for the dark side of the Chariot (see Crowley’s Tower card for my inspiration). The Tower connection reminds me of the Monopoly directive: “Go directly to Jail. Do not collect $200;” thus, a misguided Chariot misses out on the rewards offered by Justice for good behavior.